I always get asked ‘What is the back story of your company name’ and honestly it’s not as exciting as you may think it is. In order to understand where the name Big Wet Fish Hosting came from you’ll need to understand a little of the history of where Big Wet Fish started as a company. You may have seen us say ‘Since 2002’ on our website and wonder how that’s possible given we have only been a Limited Company for 6 years. Back in 2002 our founder (me!) was Head of the Computing Department in Carrickfergus Grammar School and I was desperately looking for a way to enthuse an after school computer club and break from the monotony of the formal school curriculum comprising Word, Excel and Powerpoint on Pentium 4 RM School Desktops with CRT Displays! The school just had a ‘broadband’ line installed and it was networked in Room 11 – the excitement was great among staff and students alike. Amazing how something we take for granted today (fast internet) was such a novelty back in Dial up days. What did I do to break the monotony of the formal IT Curriculum? I rented a web server for the after school computer club (I used to call them the Geek Squad but that name is now trademarked by a large well known computer company) and we worked to install a really old version of cPanel and we used MS Frontpage to design simple HTML table based websites. The beauty of having a server was we could ‘host’ the websites (a massive thing back in 2002) and the students were able to go home to their AOL Dial Up Account and view their simple creations. It may not sound like much reading with 2018 eyes but back in 2002 it was cutting edge stuff and the students (aged 11-16) were loving it! 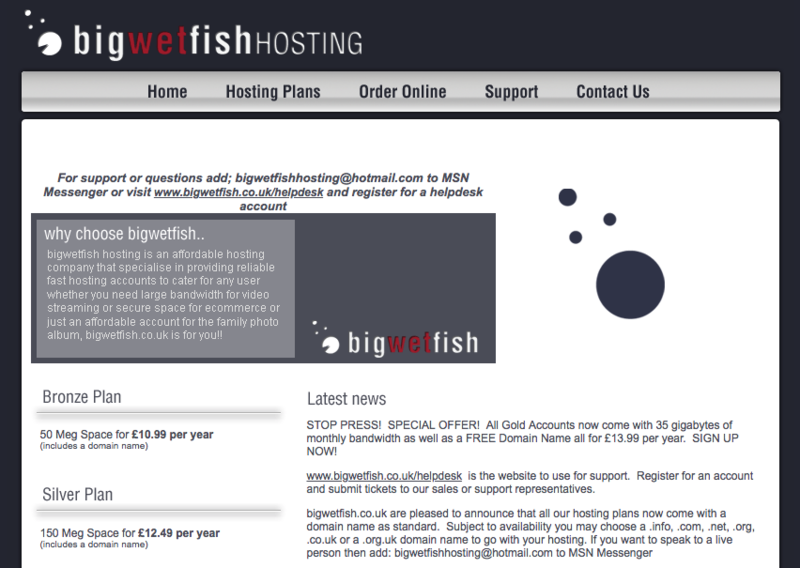 In order to pay for the server that I had rented (from my own pocket) for the after school computer club I started selling web hosting on eBay (it was ‘the’ place to sell web hosting back in 2002) and very quickly I gained my first clients some of which are still with us today in Big Wet Fish. Selling on eBay was how we rolled for the first few years as I used the second income to fund summer holidays and investment in better servers. So this is when Big Wet Fish was born. We had the idea to advertise on the radio in parts of the UK to a specific target audience and we had a meeting in London. We were sitting in Harry Ramsdens in London in Leicester Square eating Fish and Chips and it was pouring with rain outside so we were soaking wet. The conversation came around to the company name and how ‘Eaziweb’ would be difficult to take UK wide given people would not know how to spell the name (an s or a z or an i or a y!) and it would not be memorable if you heard it in the car on the radio. We were sitting eating a Fish, the fish was very large and it was raining outside – Big Wet Fish sounds logical right? And that is how the name came about. 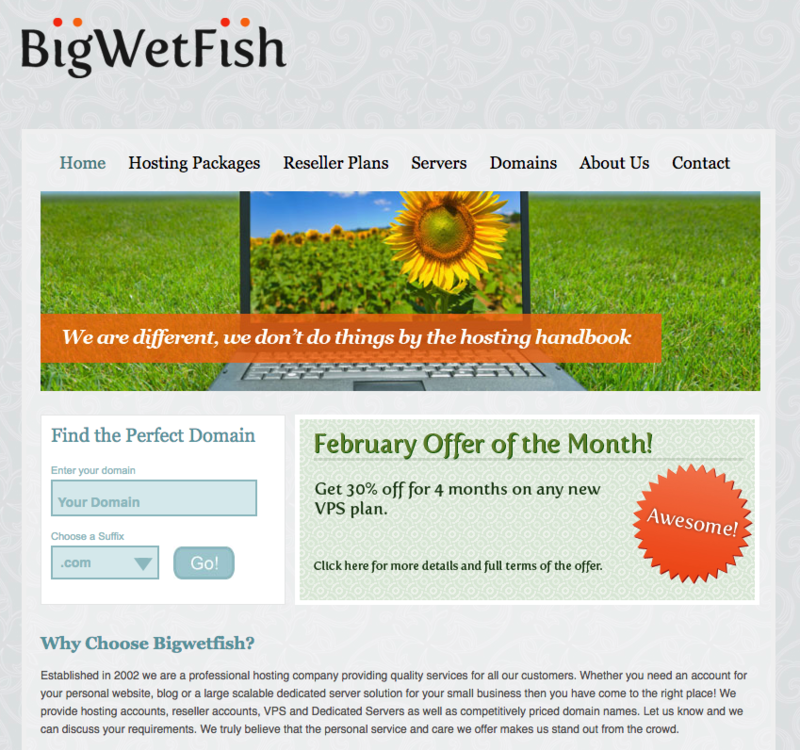 It’s quirky and memorable and in the industry as a whole stupid names for Web Hosting Companies seems the norm! One only has to look at GoDaddy or A Small Orange – two competitor brands to see that there is nothing unusual to run with a quirky name so that’s what we did! 2011 I left teaching having taken a career break and ultimately resigned to pursue Big Wet Fish Hosting Full time. We formed our Limited Company in 2012, invested heavily in offices, staff and infrastructure and we now have many thousands of clients across 50 countries around the world and a growing local staff base with plans to extend local support to 24/7 soon. 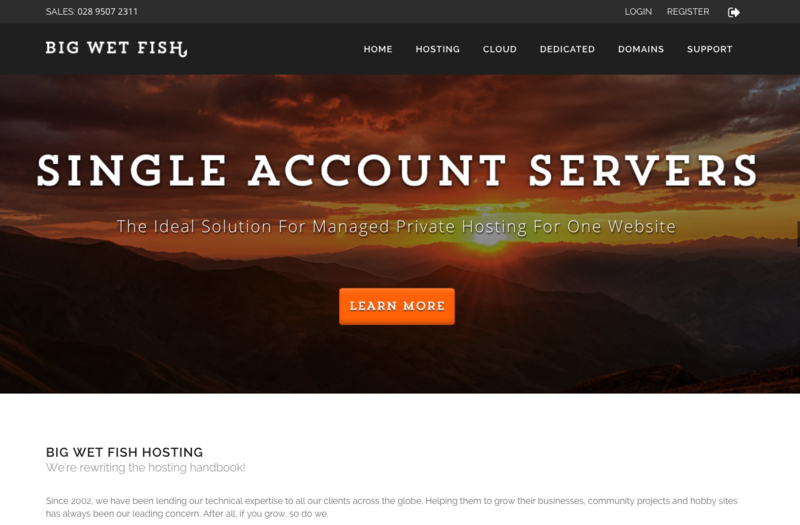 We’re an Invest Northern Ireland Client Company and are 100% independent owned and operated (we are not part of a larger hosting group). 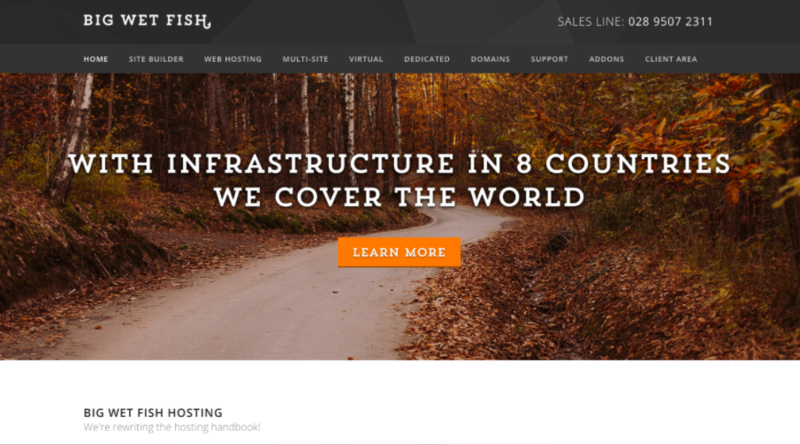 We host anything from the smallest personal website to the largest Load Balanced Cluster solutions. 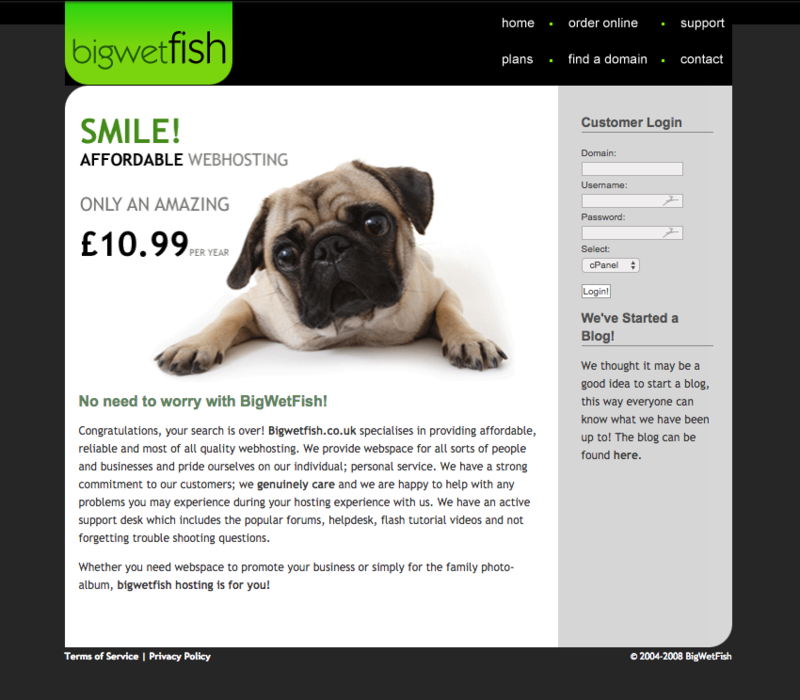 Why not talk to us today about moving your website to our network. If you are local to us in Northern Ireland please call down to see us in our offices and the kettle is always on.